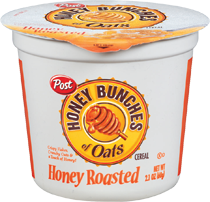 ThemeParkMama: Honey Bunches Oats is now in Single Serve Cups! I remember when I was younger my parents would always purchase cereals which had a lot of stuff in them you know like nuts, berries and so on. 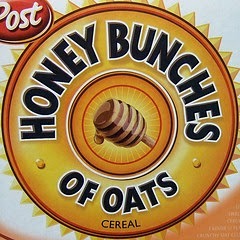 Well Honey Bunches of Oats came out in 1989 I was 6 : ) I remember it tasting so good and as I grew up more was to come. Honey Bunches of Oats have 18 flavors of goodness and now they have took the original and placed it in on the go cups! That's right on the go cups! The new Honey Bunches of Oats is a single serve plastic cup so you can enjoy anywhere. The cup is great since it is plastic you can pour your milk in and not worry of having to eat fast before it starts to sag, or having to search for something which to place your cereal in. I personally love cereal without milk so I carry it around as a fast pick me up. 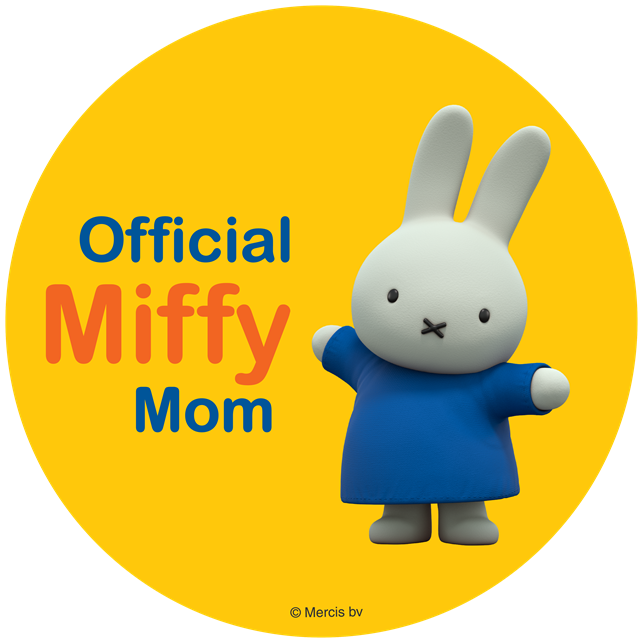 I bring it to the park with me and snack on it while watching the kids play. Honey Bunches of Oats is even considered a healthy cereal which is on WIC (Women Infants Children) okay list which is a really hard list to make. Also Honey Bunches of Oats goes on sale quite often at Publix BOGO which what is great is this is when you can try different flavors that you might had not tried before. 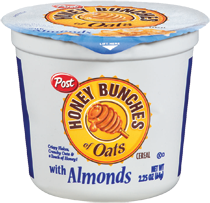 Check out the new on the go cups with the goodness of Honey Bunches of Oats at your local retail stores and grocery. 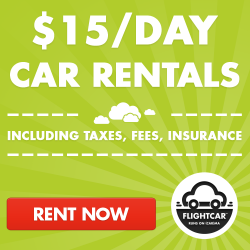 Check out all the wonderful flavors of Honey Bunches of Oats by clicking here.